After rudely insulting a teacher who is droning on about Cyprus’s status as a British colony, Turkish Muslim student Omer drops out of school and is sent to the Akamas peninsula to work as a shepherd for a Greek Christian family. He immediately takes a shine to their daughter, Rhodou. By the late 1950s Omer is stuck firmly in the friend zone, desperately longing for a chance to prove his heroism to Rhodou. An opportunity presents itself when he provides a hideout in the mountains to the EOKA (partisans fighting British rule, but typically opposed by Turkish Cypriots for seeking reunification with Greece). After accompanying the resistance cell on a mission in which they assassinate a traitor, Omer finds he is repelled by their violent methods. A rift forms between him and Rhodou, culminating in his discovery that Rhodou is having an affair with one of the EOKA leaders. Soon after, the rebel group is betrayed and Rhodou’s lover is killed. Although Omer is suspected, he is guiltless. More years pass and Omer and Rhodou put aside the past and their difference. The begin meeting in secret and fall passionately in love. However, their families and communities find out and reject the relationship, separating the couple. They endure, finally finding happiness in Omer’s hometown of Vasilia, but their lives become harder during the 1970s, as the tension between Turkish Muslims and Greek Christians turns to all-out war. Akamas is an evenhanded history of three decades in Cyprus’s struggle for independence (successful) and unification (unsuccessful), couched in the form of a cross-cultural romance. I say evenhanded because when both sides declare the film as propaganda for their opponents and the government censors the finished product, odds are you’re actually pretty close to the middle ground. Director Chrysanthou shows both Greek and Turkish Cypriots as a mix of good and bad, reserving his condemnation for nationalist extremists of either faction and portraying their escalations as counterproductive at best, violently destructive at worse. 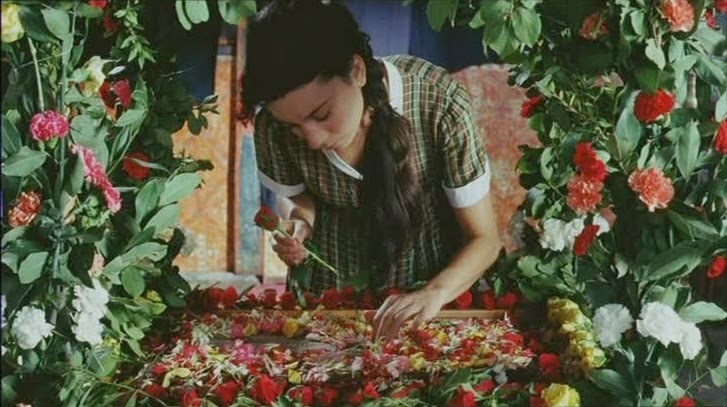 The film’s politics find natural parallels in the love story, including its central themes of forgiveness (Omer getting over Rhodou’s relationship with the EOKA member), compromise (both are willing to enter the other’s religion to allow a wedding) and serenity (Omer gives up his gun after a friend convinces him that violence will only play into the hands of his opponents). This is nontrivial stuff considering that, while most films pay lip service to these values, they predominantly focus on their more cinematic and presumably exciting opposites: revenge, unwavering convictions and violent aggression. This doesn’t make the heroes of Akamas weak (although I like that Chrysanthou is willing to risk that judgment), because they don’t lack for courage, determination or passion (e.g. several steamy scenes shot amid Cyprus’s inordinately photogenic geography including Avakas Gorge and a waterfall where Aphrodite was said to bathe), they just channel their efforts into romantic rather than patriotic pursuits. 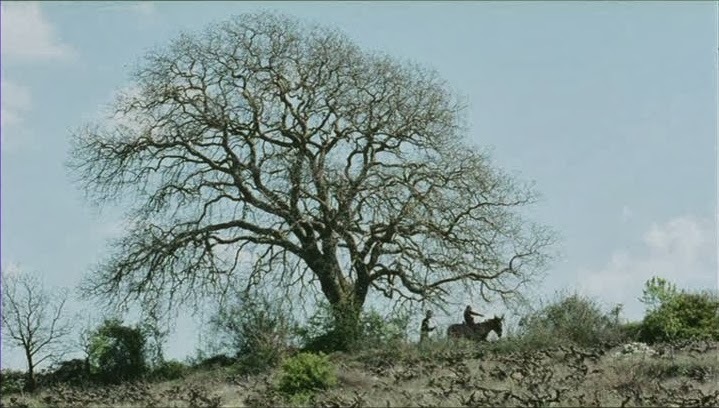 Not everyone, certainly not all Cypriots, would agree with that philosophy and the films ends on a mixed note as Omer and Rhodou come to accept their loneliness as exiles from both communities. Well, at least they have each other.